Animals' Angels is holding a training course together with veterinarian Dr. Rabitsch for official veterinarians and policemen from Brandenburg. 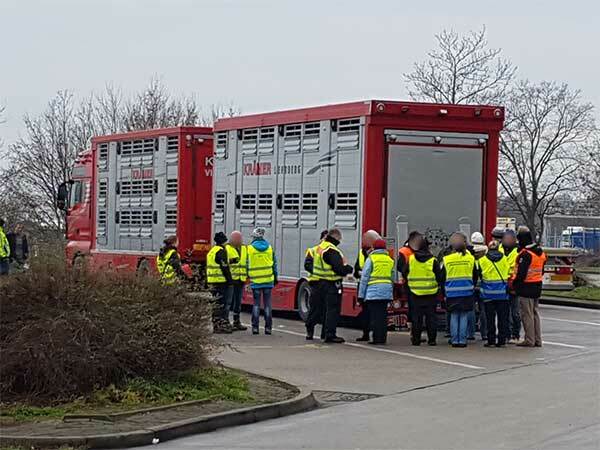 The course consists of a theoretical part, in which the regulations of the animal protection transport law are explained to the participants – and a practical part with inspecting animal transports on the road. We thank the seminar participants for their lively interest and the organisers for the trouble-free course of the seminar.